Amid a series of probes into potential privacy violations of its users, Facebook, the world’s largest social media platform, recently found itself under fire over another serious accusation: allowing scam ads to run on their website. Like other tech giants such as Google and Yahoo, Facebook earns much of its revenue by displaying third-party ads on its network. Given the number of advertisers running on the platform, it’s unrealistic to expect that each ad passes a security check. Celebrity endorsements are an extremely popular advertising method, and they are a primary marketing strategy of many companies. 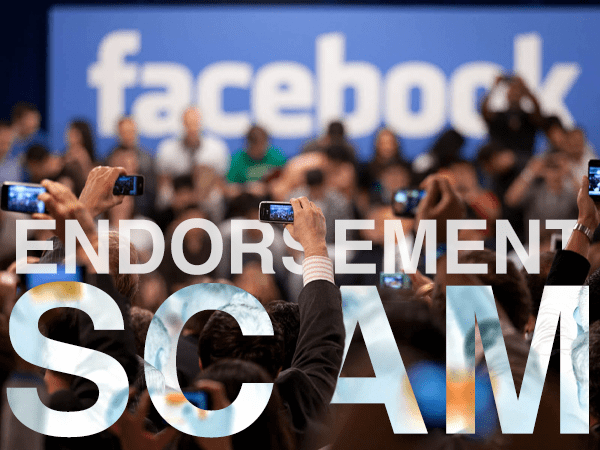 Consequently, scammers know that faking support from a reputable celebrity for their product is one of the easiest ways to garner the attention and trust of potential victims, especially if the offer sounds too good to be true. This is precisely what happened with Martin Lewis, a British television host whose persona was used to create Facebook ads for fraudulent products and offers related to cryptocurrency. After years of offering sound financial advice and hosting a website called the Money Saving Expert, Lewis’s reputation is solid enough to make a get-rich-quick scheme look a lot more plausible. Learning of what was happening, Lewis took to the legal system and filed a lawsuit against Facebook in April 2018, stating that his reputation had been tarnished by the website allowing thousands of scammy bitcoin ads with his face to run unchecked. Now, Facebook and Lewis have come to a settlement to end the litigation and any other legal action. Facebook has agreed to donate $3.3 million and a further $500,000 from ad credits to a new project co-founded by Lewis. The Citizens Advice Scam Action, or CASA, will attempt to spread awareness regarding scams and prevent more people from falling into such schemes. Yet for the victims who bought into these ads, the conclusion is perhaps less satisfactory. Lewis himself provided accounts of people who accused him of ruining their lives through a lack of diligence surrounding fake ads. One man reported having lost $25,000 following Lewis’ supposed advice, while a woman was conned out of $195,000 for doing the same. As a result of his lawsuit, Lewis’ reputation may have been restored and the ads may have been taken down, but the problem persists, and those who have been affected by investment scams are hardly content with the resolution. Frauds have existed since the dawn of time, and education and awareness are ultimately the only things that can keep one from losing their savings through an ill-advised investment. Birch Gold Group has recently tackled this issue in an extensive guide on our website, on how to recognize and avoid scams. In the case of unsolicited investment pitches, we advise that it’s important to ask specific questions, especially if the person promises a specific return on your investment. It’s also a red flag if the person you are speaking to pressures you to invest as soon as possible, before you can do your research. Adding to this, fraudsters often reach out to victims through social media, which is why our guide suggests that you consider keeping your profiles private. The guide also stresses that it’s necessary to explore a company’s background and reputation before placing your faith (and your money) in them. For example, if Lewis was indeed endorsing a new and potentially lucrative crypto investment plan, he would have likely mentioned it on his website or official Twitter account. Finally, in our guide on the Birch Gold Group website, we’ve also covered the most common kinds of schemes, including those that are run by seemingly-legitimate companies. Lewis’ lawsuit resulted in a little justice, but in the end, common sense and due research will always beat even the most persistent scammer.